John Brooks, Sr. was about 34 years old when he died of an illness at Black Rock, New York during the war of 1812. His death left behind a wife and five very young children. There are no family stories of why he decided to join in the war effort, at least none that this writer is aware of. Money, patriotism, dreams of wartime glory. We can only speculate. While his death is not the stuff of wartime dreams, at least his service in the war was something he could be proud of. The 4th Riflemen Regiment, which was John’s, was formed in March of 1814 possibly at Geneva or Utica, New York. 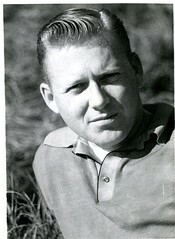 John Brooks, Sr.’s enlistment entry. There is a description of him along with where he was from, and his assignment. I will assume that he was assigned to the riflemen because he was good with a gun. But that is only speculation. The formation of the riflemen was the military’s first conscious effort to create an elite corps of men. These particular regiments even had different uniforms than the regular army. 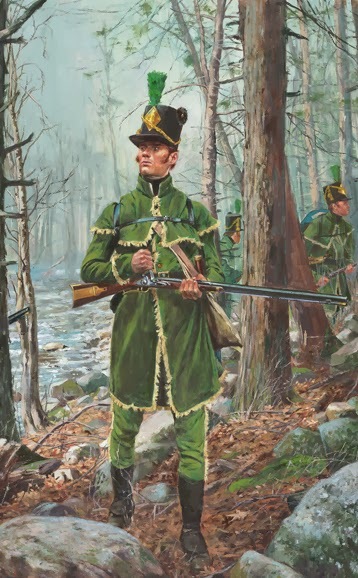 The regular army wore blue and carried muskets, the riflemen wore green jackets with black collars and cuffs and they carried the new Harpers Ferry Model 1803 rifle. It was a short weapon that could shoot with deadly accuracy to 250 yards. The riflemen were the precursor to the special forces or Green Beret’s found in today’s military. Within three months of John’s enlistment, sometime about June, the troops started their march to Buffalo, all 133 men. They marched through dense forests with thick underbrush, swollen rivers, deep mud, searing heat and other harsh weather conditions, but they did finally make it. This map shows a larger view of the state of New York and the lake area. Close up of top of Lake Erie. You can see Ft. Erie, Buffalo and Black Rock in more detail. These are the areas where John spent a bit of time during the war. The first engagement of the 4th was at Conjocta Creek, a battle that was apparently never fully appreciated by American’s historically. As described by Maj. Kearsley, a force of about 1300 British men had landed on the American shore below Conjocta at about 1:00 in the afternoon. Having been appraised of the British landing on Squaw Island before heading to the American shore, Maj. Morgan had silently marched the riflemen through the woods to a bridge that crossed the Conjocta. The bridge was quickly made unusable and a breastwork was created with logs. The riflemen then continued on to Black Rock, still hiding from the enemy. Once they arrived at Black Rock, the men then made for Buffalo making as much noise as possible using musical instruments and loud voices, all to attract the attention of the British troops. The intent of course to convince the British that Buffalo was their final destination. Once they arrived in Buffalo, they had a quick meal then secretly headed back to the breastworks at the bridge on the Conjocta. There they hunkered down and awaited the British. The British arrived at the bridge about 12-1 in the morning. Seeing its demise, men were sent forth of replace the planks that had been removed by the riflemen. Because the night was clear with no moon, the riflemen were in an excellent position to see and not be seen. Once the British arrived at the bridge to repair it, the signal was given by Maj. Morgan. With the blow of his whistle, every rifle was discharged with precision and the head of the British advance was ‘literally decapitated’ with not a British soldier in view left standing. The British fell back and returned fire, but the riflemen did not reciprocate, this happened twice more. Each time the riflemen did not return fire. The reason being that because of the small force of riflemen, it was possible that the British would discover their location. And because the British had already fallen back twice, they were now out of targeting range. The final consequences of the skirmish was a retreat of the British back to Squaw Island, not knowing the enemy’s strength and being at a disadvantage at the bridge they felt is more prudent to end the conflict. This decision was of major import to the American soldiers at Fort Erie, because the supplies and provisions they needed came from Buffalo and it was the British intent to cut off this supply line. So the defeat of the British at Conjocta saved the entire American Army and prevented the fall of Niagara. The 4th remained in the area and engaged in transporting the supplies needed for the soldiers at Fort Erie to a place of greater safety near the lake shore and above the mouth of Big Buffalo Creek. It was believed that the British would renew attempts to destroy the supply line so they were making sure the provisions were safe. They spent three days transporting the supplies across the river in a flat boat or scow and during the night they slept in the marsh without tents and in the grass, or worked on removing the bridge completely. About the first of August they headed to Fort Erie to join back up with the 1st Riflemen. 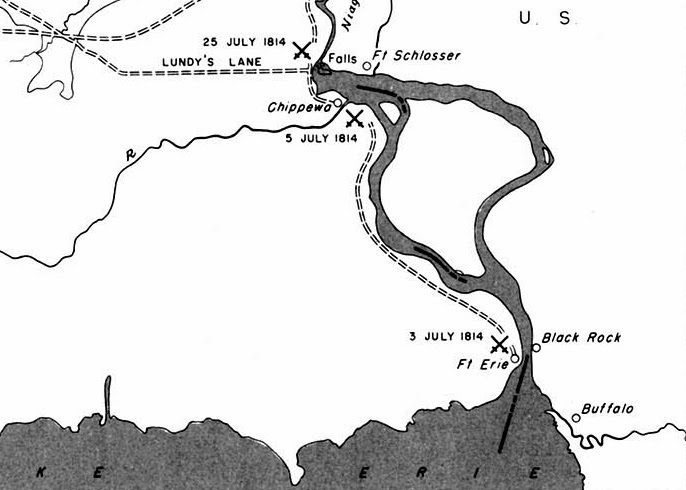 Shortly after their arrival the commanding officer, General Gaines, issued an order for an attack upon one of the pickets and batteries of the enemy, which had been annoying the American pickets. And so commenced a series of warmly contested skirmishes, which continued almost daily. Thus were the riflemen engaged for many days. The result being many good men were dying everyday for no good cause. It enabled General Gaines to appear to be gallantly defending the Fort that was being constantly besieged by the enemy. The riflemen were ordered to “feel the enemy” by shooting, at their own discretion, into the British lines that were hiding in the woods around the fort. No reinforcements were sent to support the riflemen and they could not advance further forward. With the larger force on the British side, they were fighting against impossible odds. The whole American force in Fort Erie was 1500 men, the British were 3 times that. The men were in constant expectation of a British attack and it was on the night of August 15th that their expectations were finally met. Repulsion of the British at Fort Erie, August 1814. The riflemen were stationed behind the breastwork near what was called ‘Towson’s’ battery. Because of the constant firing of their guns upon the British who were trying to get through line, the riflemen created a lighting affect that became known as ‘Towson’s Lighthouse’. Any British who attempted to land and penetrate the line were met and killed or taken prisoner by the riflemen. After the fighting had been going on for about 20-30 minutes the British sounded the retreat of one of their lines and the riflemen were ordered to move in support of the infantry there. Their new position was attacked multiple times by the British. It was a barrage of retreating, reforming lines and attacking. 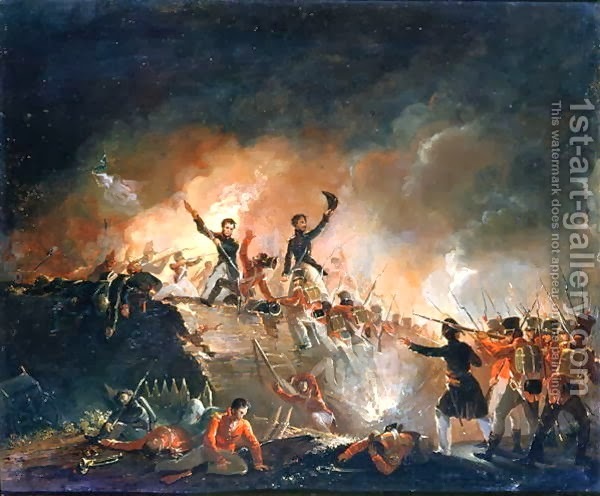 The battle ended when the British Col. Drummond gained hold of an American gun position and in attempting to turn it around to fire on American troops, accidentally set the munitions ablaze with a slow match that had been laying in the wrong place at the wrong time. Immediately upon the explosion the riflemen entered the fort through the gates which were opened. They removed the unwanted British soldiers. The battle was now pretty much over. The nature and frequency of the conflicts in which the riflemen are engaged in the last 2-3 months left only 38 men still alive in the 4th riflemen the next morning. John Brooks was one of those men. We do not know if he was injured in the fighting. Later that day the riflemen were ordered by Gen. Gaines to again ‘feel out the enemy’ and with the infantry at their backs proceeded into the forest to head to the British line. However, once the infantry entered the dense woods, they became lost and confused and were ordered back to the Fort. The riflemen received no such order and proceeded ahead. They came upon the British and commenced firing while waiting for their infantry backup to arrive. Shortly, they began hearing guns back at the Fort. Maj. Kearsley was afraid the British had found out about the attack and had headed to the Fort expecting to take it over. So he ordered a retreat, and upon arrival back at the Fort the riflemen learned that the American infantry was merely discharging their guns by firing their shot. A lesson in the bouts of incompetence that showed up quite a bit during this war. The riflemen were considered one of the few American military formations capable of beating the British units on the field. The 4th proved it in several decisive battles. Right about now I am almost be temped to kill to get to a warm clime. The weather lately has been crazy cold. Winter has definitely not been shy about letting itself be felt this season. So to bring warm thoughts I am posting this fun document for my mother. It is a passenger list of her and her siblings along with her mother arriving in New York from Puerto Rico in 1950. Margaret Shepard is my mother in this passenger list, her mother is Lois. 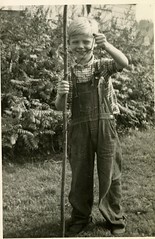 You can see that David, the youngest, was born in Puerto Rico. 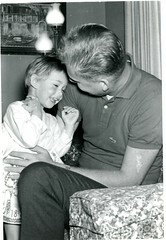 The image is from Ancestry.com [Year: 1950; Arrival: New York, New York; Microfilm Serial: T715; Microfilm Roll: 7812; Line: 10; Page Number: 94]. Last month FamilyTreeDNA had a huge sale on their testing kits. Not being rich, it took me a short while to decide on which upgrade I was going to invest. I decided on the familyfinder test for my husband. This is the test that shows ones ethnic breakdown. Well, the results came in today. It appears he is 100% European – Orcadian. Orkney is part of Scotland. Imagine my surprise, after all he is half German and half Polish, what the heck? Ahh, but Scotland was invaded by Vikings and apparently tests of the genetic make-up of the males currently living in Orkney indicates a strong Scandinavian influence. So while his genetic make-up is Orcadian, the reason is most likely because of Vikings.